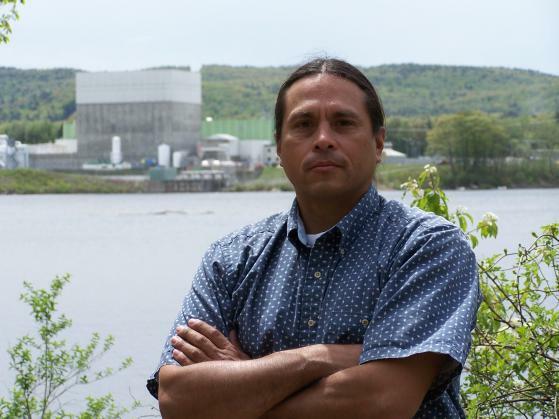 On March 12 the Vermont attorney general ruled that the owner of the Vermont Yankee nuclear power plant had broken the law when it falsely claimed in a series of radio commercials and full-page ads in the state's daily newspapers that the reactor did not contribute to global warming. "The very notion that nuclear power is good for the environment is false advertising," said Deb Katz, director of the Citizens Awareness Network, a leading anti-nuclear organization based in western Massachusetts. Vermont Yankee is three miles from Massachusetts and a stone's throw from New Hampshire. Most of the electricity the reactor generates is used outside Vermont. The Vermont Legislature will make history in a vote expected this or next month, or more likely, sometime between January and May 2010. The legislators will decide whether to allow Yankee to continue operating after 2012. Never before has a state taken such a vote. On March 6, Paul Burns, the director of Vermont's biggest environmental group, VPIRG, sent a letter to Bill Irwin. Irwin works for Governor Jim Douglas, a strong advocate of nuclear power. Burns wrote: "Entergy promised Vermont that they would not increase radiation levels when they were allowed to increase power production at the plant. That was clearly a lie, one in a long-line from this discredited and untrustworthy company. Recent reports by international scientists confirm that there is no safe level of exposure to radiation. I'm outraged that you are considering changing these rules, instead of enforcing the existing law." Vermont Yankee is owned by Entergy Corp. of Louisiana. In 2006, Entergy increased the reactor's power output to 20 percent higher than the plant was designed to generate. Yankee began generating power in 1972. It is now among the nation's oldest nuclear power plants. The nuclear waste generated by Vermont Yankee is so deadly that it must be guarded around the clock for the next 1 million years, according to the National Academies of Science. A major accident or act of sabotage at Yankee could kill thousands of people. On March 3, voters in 33 Vermont towns approved non-binding measures directing the state legislature to close Yankee in 2012. Also this month, the state announced that the fund set aside for cleaning up Vermont Yankee when it closes was worth $347 million, down from $427 million a year ago. The cost of cleaning up the site is estimated at about $1 billion. State senate president Peter Shumlin of Putney said March 3 he fears Vermont taxpayers may be hit with the clean up costs. "I'm working hard to make Entergy pay to clean up after itself," he said. If New Englanders took the money they now pay Entergy for electricity from Vermont Yankee and instead spent it on energy efficiency programs, Vermont Yankee could be closed, consumers' electricity bills would go down, and there would be a net increase in jobs. That's according to a study by Amory Lovins, published in the journal Nuclear Engineering International. The New York Times reported March 6 that the proposed nuclear waste dump in Nevada where Entergy had promised to send Vermont Yankee's nuclear waste will likely never open. Nuclear waste is the deadliest material on earth.